Its realized and now you can have it on your pocket! The look: The obverse side has the lion capitol with numeral 10 and year of manufacture. On reverse side, a double line cross with a dot in each pellet of cross and denomination written in Hindi and English around. This design has been prepared by National Institute of Design, Ahmedabad with the theme of Unity in Diversity. The outer side metal is Nickel-Bronze and the inner side metal is Ferrous Steel. The weight of the coin would be 8 grams and the diameter would be 28 mm. 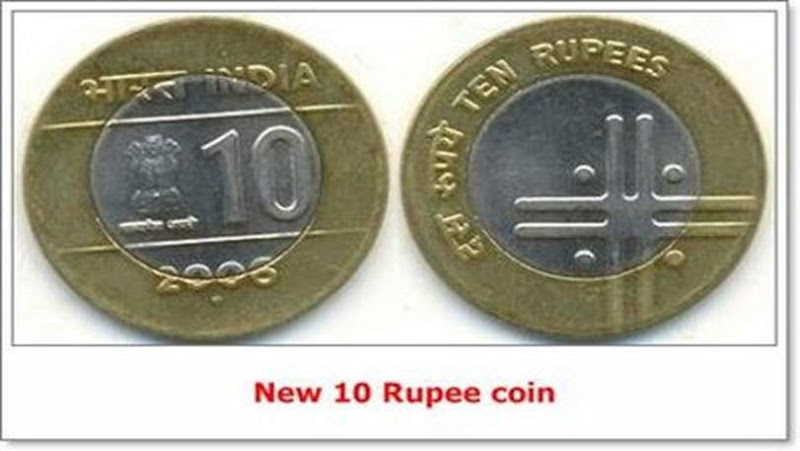 The coins are being minted at mainly Noida and Mumbai mint. The coins worth Rs.70 million were already stored in its stock till August 2008. Hi Mewool! I haven't seen a lot of entries for this contest... but your concept looks really promising.. all the best! My younger sister has found such coins last summer because our parents bought her children's metal detector at http://collectinviolity.com/ . She was so proud.